Looking for the most elite personal trainer Vancouver has to offer? Maybe an Elite fitness experience with personal attention and a multi-disciplinary routine? Kalev Fitness Solution offers a 3Dimensional approach to fitness, including fitness assessments, nutritional guidance and more. 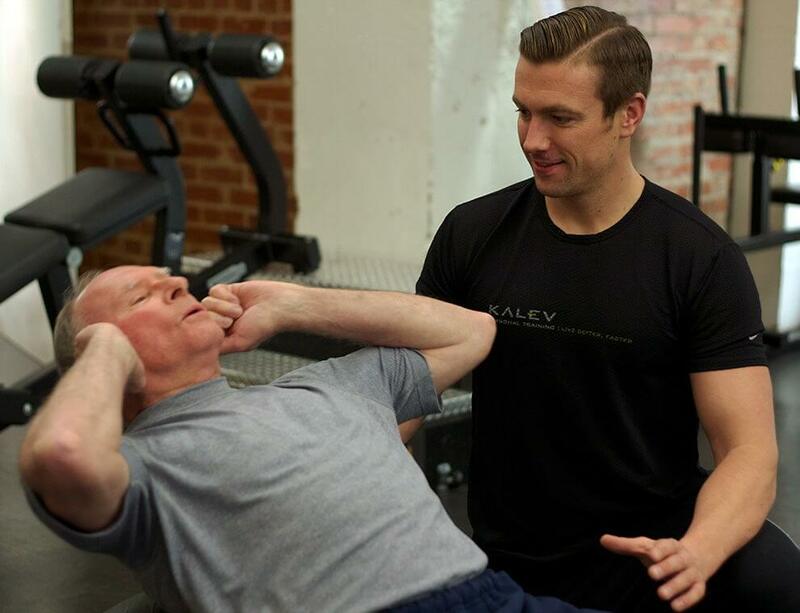 With a Kalev Fitness Solution personal trainer, you’ll be getting the safest, most effective way to achieve your health and fitness goals long term. Our personal training Vancouver programs are tailored to your needs and guaranteed to deliver results, whether you’re training for a marathon, or working out under your doctor’s orders. As your program progresses, your personal trainer will conduct quarterly testing and adjust your program to meet your evolving fitness needs and help you achieve new goals. What can you expect during your workouts?